As the winter melts away, fun wardrobes come out to play. Simple staples have their place, but today we’re excited about color, pattern, and scale. You can take your spring style from standard to statement-making in fresh stripes, modern florals, and oversized graphics. Not sure where to begin? 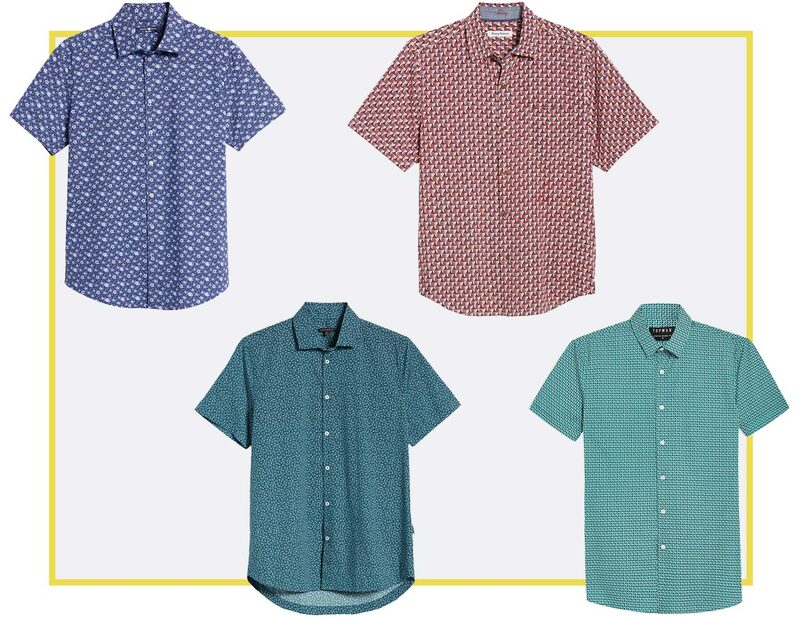 We’ve put together a cheat sheet with this season’s best trends for men. 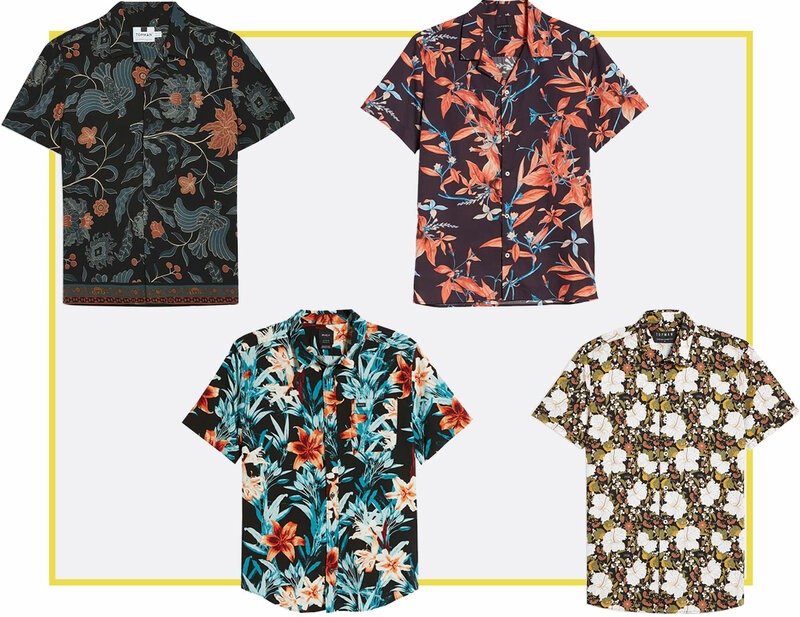 Botanical motifs inspired by places closer to the equator are officially in for spring. Large in scale and moody in color, these tropical prints have cool, muted tones and a “life is good” appeal. Because you can’t be covered in birds of paradise without feeling pretty good, right? A basic stripe is a menswear staple, but the energy of spring might have you craving something more stylized. 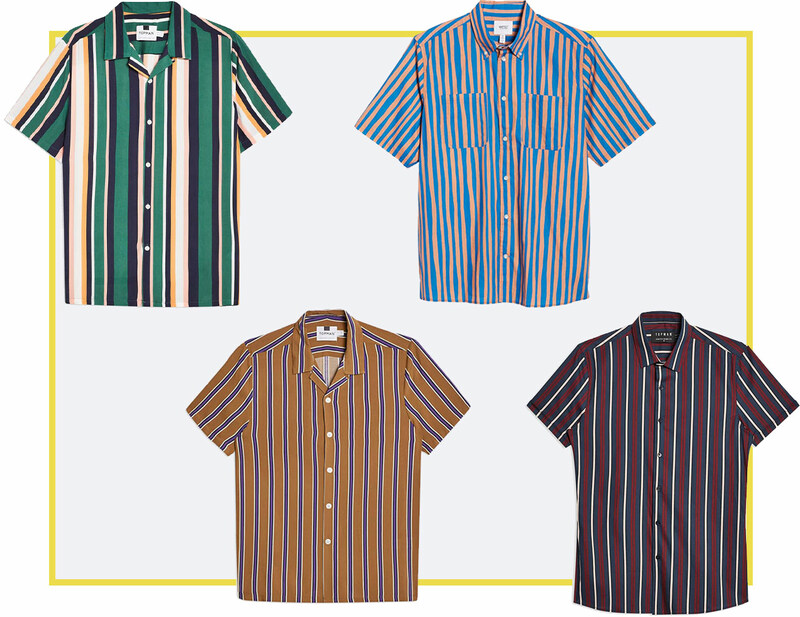 Right now, it’s about wide multi-stripes that feature complex colorways and plenty of contrast. You’ll also find abstract stripes that bend the rules a bit. For that laid-back retro look, wear the collar unbuttoned. When it comes to pattern, you’ll find the most elevated styles often live on either side of the spectrum: oversized or micro. 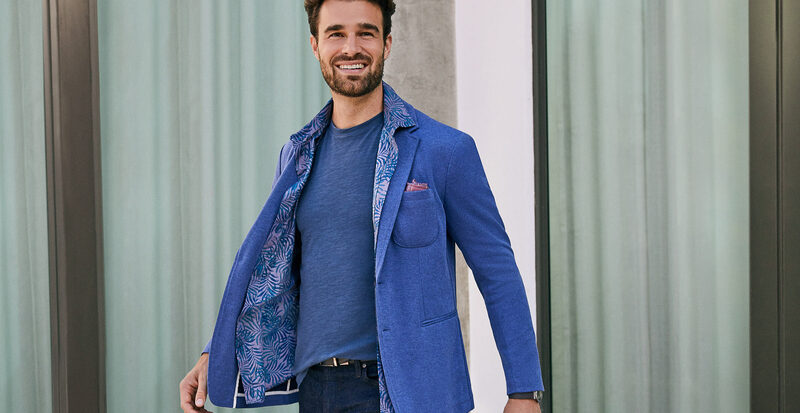 Small-scale prints make a subtle statement, making them ideal to wear during the work week and into the weekend. 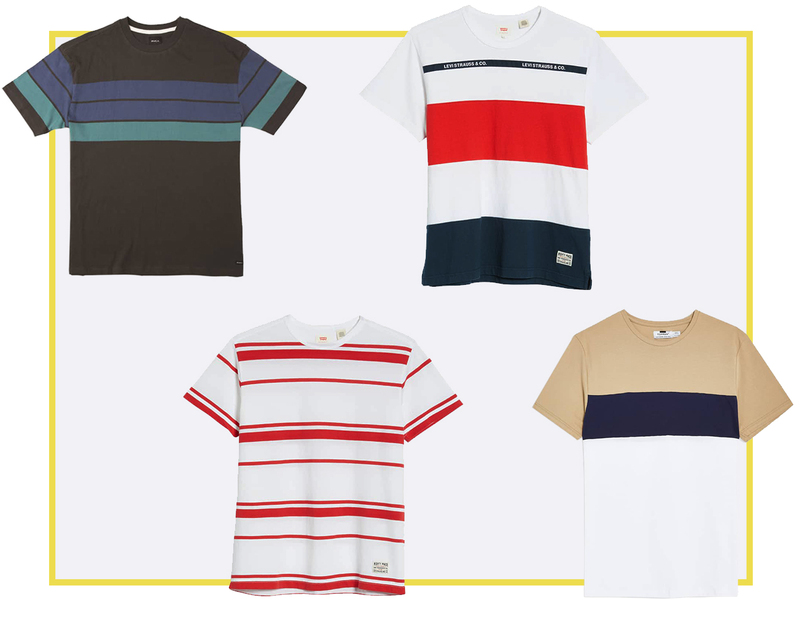 Splice up your silhouette with a sporty retro stripe inspired by rugby uniforms. This trend shows up most in reds, whites, and blues, giving it a sporty and graphic feel. Pair with worn-in jeans to balance all of the boldness. Why rock a plain tee when you can show off your favorite labels, front and center? Logos are no longer hidden on small, discreet tags. They’re unapologetically large, show-’em-off graphics. 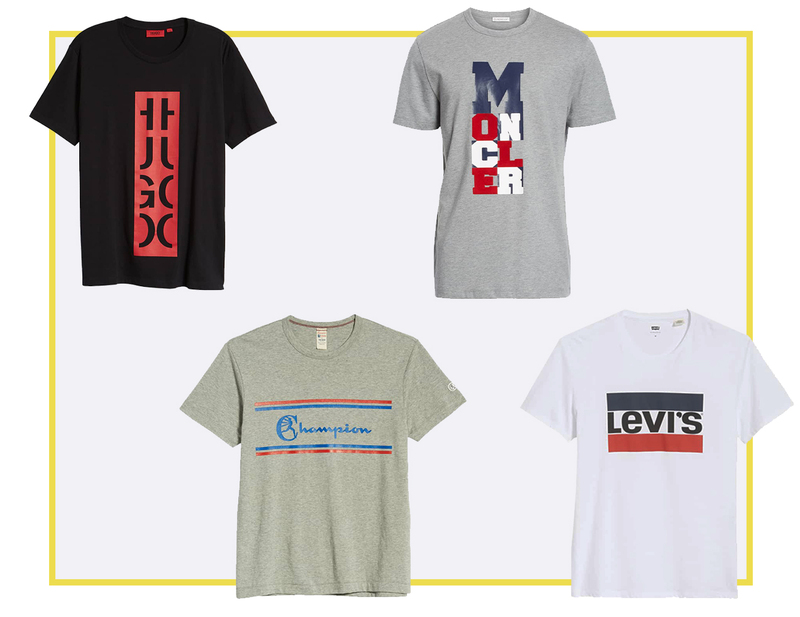 From throwback skater brands to luxury labels, everyone’s getting in on this game.